The Queen of Everything Apron is a fun way to honor the special lady on any occasion. 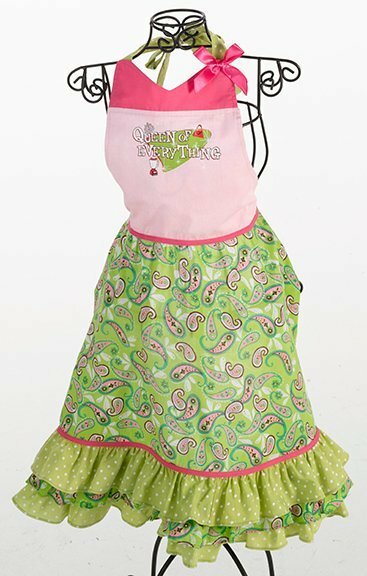 The colorful apron is made of 100% cotton and is 30" tall. It ties at the waist for a secure fit. The top is done in two tones of pink with a cute "Queen of Everything" graphic. 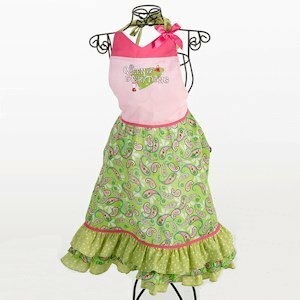 The bottom is a green and pink paisley print with green and white polka dot ruffles and contrasting pink trim.